Bagman, a lost and lone miner, found himself trapped 99 floors underground armed with only a shovel. 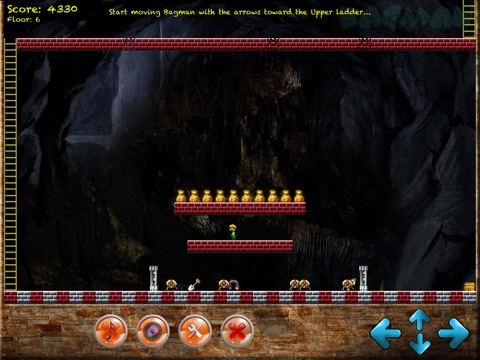 Help him get to the surface by digging holes and advancing throughout the many caves. 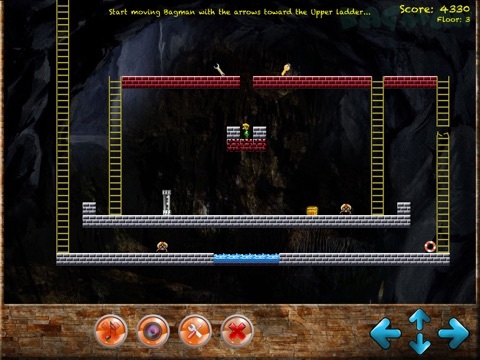 Each of the cave is made up of multiple levels, ladders, doors and of course, monsters. 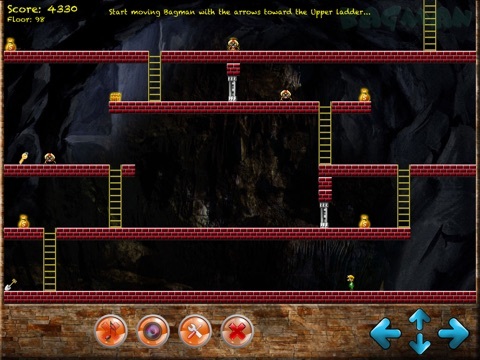 Use yor mining skills to grab the gold coins, and treasure chests that are hidden throughout the caves. Important note: Monsters can be killed when trapped into holes but revive and each time they do they get smarter, so be careful! 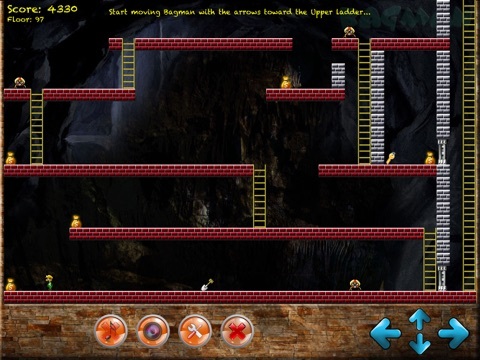 This application was developed by Philippe GUILLAUD and his crew. Your comments are always welcome and can be sent at pguillaud@gmail.com. 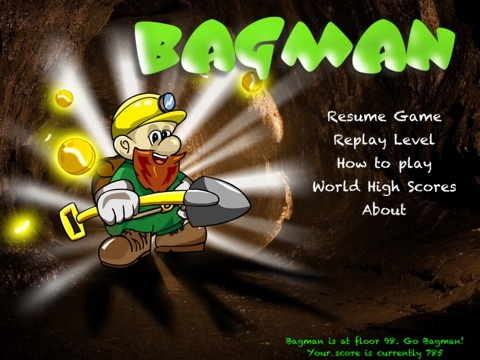 Good Luck, Bagman's journey is waiting for you!